I just woke up from the craziest Dream ever! I felt like I was flying on top of the world and no one could stop me! It felt so good to be all by myself up in the air so freely! 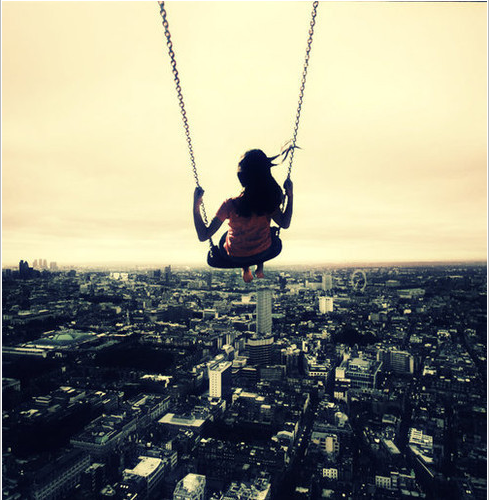 Wind in my hair, my feet up off the ground… I swear I was Super Women! 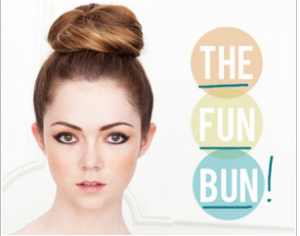 Here are 8 Easy Steps on how to make the Perfect Hair Bun that would look good on anyone! It’s nice to get all that hair out of your face and let your True Beauty Shine! Step 1: Add some texture and light curls at the bottom of your hair to make it wavy & curly. 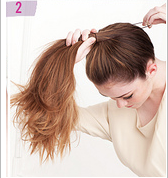 Step 2: With a Hair-tie, Position your starting Pony Tail at High as you can on top of your head. 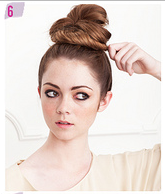 Step 3: Start wrapping your hair around your bun using a clockwise motion and secure it with another hair-tie. 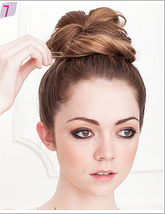 Step 4: To add Volume to your Bun, Fluff and stretch the bun out to make it Nice & Bigger! Remember to leave at least half of your hair down to complete the look. 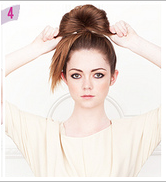 Step 5: With the rest of your hair, begin to cover and wrap it around the hair-tie so it doesn’t show. Step 6: Twist the ends and loop it under the bun. Step 7: With a Bobby Pin secure it down against your head so it won’t move. 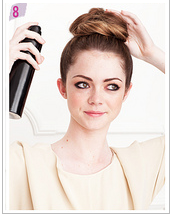 Step 8: Hairspray your bun into place and with your hand smooth all extra hair that’s poking out! That’s it! 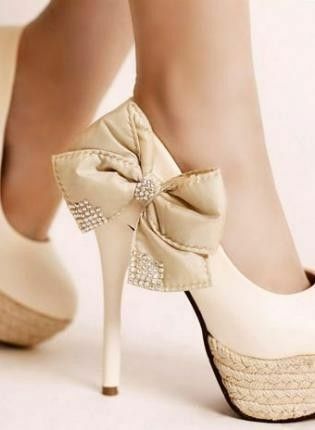 Simple, Easy, & Quick!!! This look will making your look like a Million Bucks in less than 5 minutes!